PIGEON FORGE, Tenn. (March 2018)—Two Pigeon Forge (Tenn.) events—Wilderness Wildlife Week 2018 and A Mountain Quiltfest 2017—were recently recognized with regional awards by the Southeast Tourism Society (STS) and the Southeast Festival and Events Association (SFEA). STS selected Wilderness Wildlife Week as one of the STS Top 20 Events in the Southeast for May 2018. Wilderness Wildlife Week and A Mountain Quiltfest tied for top honors in SFEA’s Best Event Program category with each earning a Gold Kaleidoscope Award. A Mountain Quiltfest also received the Kaleidoscope Award for Best Event Within an Event (bronze) for the silent quilt auction to benefit the My People Fund and the Best Other Merchandise Award (gold) for the event thimble. 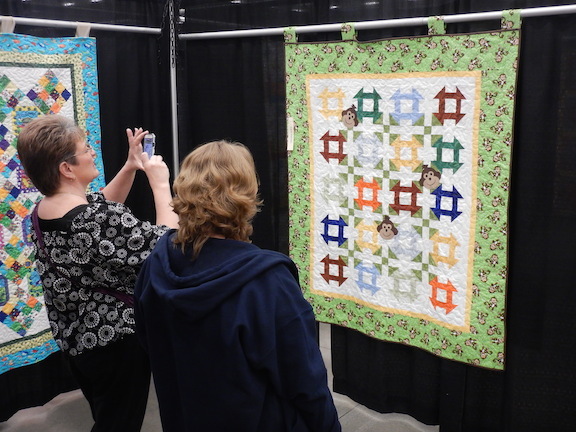 A Mountain Quiltfest takes place March 20-24, and features a free quilt show and vendor mall. Classes and lectures are offered for all levels of quilting skills (fees apply). 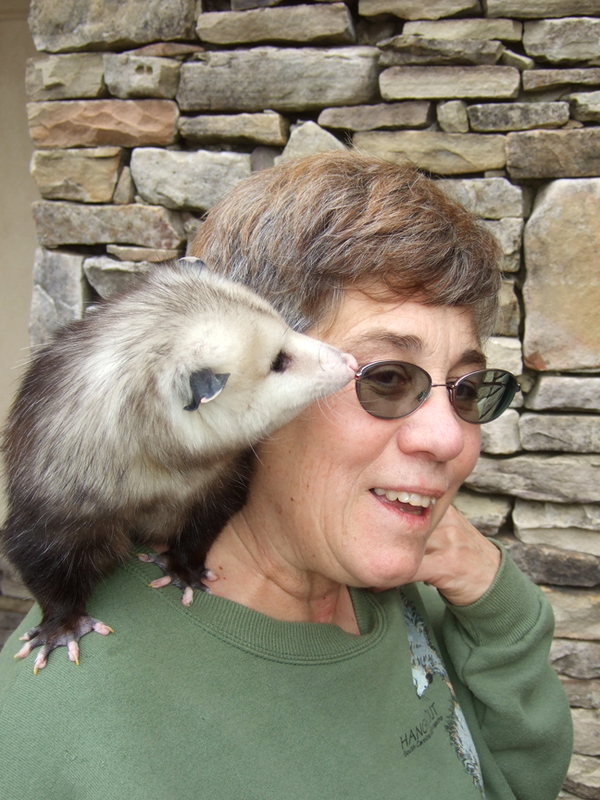 Wilderness Wildlife Week, May 8-12, offers workshops, lectures, seminars, concerts, hikes and other activities that introduce and reacquaint participants with the great outdoors; all are free. Both are headquartered at the LeConte Center at Pigeon Forge. Events considered for STS Top 20 recognition must be at least three years old and have attendance of at least 1,000. Travel industry experts select 20 events per month, and STS publicizes them throughout the United States. The complete list is published at Southeast Tourism Society. The Kaleidoscope Awards ceremony was Feb. 26 in Murfreesboro, Tennessee, in conjunction with the 15th Annual SFEA conference. Top festivals and events throughout the Southeast were recognized for their outstanding contribution to the events industry. A panel of experts in event planning, marketing and tourism spent an entire day reviewing entries from eight states. The judges looked for originality, creativity, media impact, volunteer programs, and the overall impact to the community. The categories are also diverse, ranging from Best Marketing Campaign to Best T-Shirt to Best Festival or Event. STS, founded in 1983 and headquartered in Atlanta, Georgia, is a non-profit organization dedicated to promoting tourism to and within 12 states—Alabama, Arkansas, Florida, Georgia, Kentucky, Louisiana, Mississippi, North Carolina, South Carolina, Tennessee, Virginia and West Virginia. The Southeast Festivals & Events Association (SFEA) is a 501 (c) 6 membership-based organization comprised of festival and event planners, venues, and industry service providers. SFEA was founded in 2009 to strengthen the festival and event industry throughout the southeast United States by hosting educational sessions, networking opportunities, award recognition, and additional events throughout the year; thus, allowing for continued professional growth within the festivals and events industry. Membership is open to those in the festivals and events industry as well as those wanting to get their start and learn more about this exciting profession. PIGEON FORGE, Tenn. (Feb. 14, 2018) – Pigeon Forge (Tenn.) invites you to be immersed in the tradition of quilt-making at the 24th Annual A Mountain Quiltfest on March 20 – 24, 2018. More than 500 quilts will compete in a variety of different categories for $20,000 in prize money. Located at the LeConte Center at Pigeon Forge (2986 Teaster Lane, Pigeon Forge, Tenn. 37863), the artistic quilts are displayed throughout the 232,000-square-foot event center, and attendees can peruse the vendor booths stocked with quilting essentials and one-of-a-kind accessories. Free parking is available at the LeConte Center at Pigeon Forge. Wednesday, March 21: 9 a.m. – 5 p.m.
Thursday, March 22: 9 a.m. – 5 p.m.
Friday, March 23: 9 a.m. – 5 p.m.
Saturday, March 24: 9 a.m. – 4 p.m.
A Mountain Quiltfest is an opportunity to not only admire the intricate handiwork used to create the popular American folk art, but to learn and expand your own quilting skills through classes tailored to skill level and technique. More than 70 classes are available during the five-day event for a fee, but admission to the quilt show and vendor hall is free. A complete class schedule and registration is available at MyPigeonForge.com/events/quiltfest. Class participants on Tuesday, March 20, can enjoy a special lunchtime performance by award-winning cowgirl poet Yvonne Hollenbeck and songbird of the prairie Jean Prescott. Students must register to order lunch in advance at MyPigeonForge.com/events/quiltfest. Several antique quilt bed turnings are scheduled during which local quilters and guild members offer detailed information about collections of quilts made before 1966. Due to popular demand in 2017, two new Historic Churches of Sevier County bus tours were developed by Kathy Gwinn and feature churches offered for the first time. Gwinn will conduct Tour 2018A on March 21 and March 23 and Tour 2018B on March 22 and March 24. For those who missed last year’s tours, local historian and storyteller Ruth Carr Miller will lead Tour 2017A on March 23 and Tour 2017B on March 24. 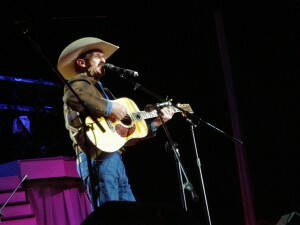 For a complete schedule and to register for the bus tours, visit MyPigeonForge.com/events/quiltfest. Information about visiting Pigeon Forge is at MyPigeonForge.com. Details of A Mountain Quiltfest are at MyPigeonForge.com/events/quiltfest. Photos of A Mountain Quiltfest available here. PIGEON FORGE, Tenn. (March 2017) – More than 500 artfully designed and carefully stitched quilts will compete for more than $20,000 in prize money at the 23rd A Mountain Quiltfest in Pigeon Forge next spring. The five-day event, one of biggest of its kind in the U.S., is March 21-25, 2017. A Mountain Quiltfest will feature more than 60 classes and lectures about America’s popular folk art taught by world-class instructors. There is a fee for classes, but admission to the quilt displays and a vendor mall is free. New in 2017, award-winning cowgirl poet Yvonne Hollenbeck and “the first lady of Western music” Jean Prescott will present five classes at A Mountain Quiltfest. Performing together, Hollenbeck and Prescott share the history of the Western prairie through song and poetry alongside historic photographs of quilters as well as generations-old quilts, including Hollenbeck’s collection of family quilts that spans 140 years. A free session hosted by the duo on March 23 at noon features Hollenbeck’s collection of aprons made from vintage feed sacks. “A Mountain Quiltfest showcases how quilts were born of necessity and pieced from scrap fabric and feed sacks and have evolved into decorative masterpieces that are artfully designed, displayed and collected today,” said Butch Helton, manager of the Pigeon Forge Department of Tourism’s special events office, which organizes the activity along with the Piecemakers and Sevier Valley Quilters guilds. Twenty quilt categories will be displayed, including ones with this year’s special theme – two fabrics. Displays and the festival’s classes, demonstrations and special activities are in the LeConte Center at Pigeon Forge, the city’s 232,000-square-foot events facility. In addition to the classes, many people visit A Mountain Quiltfest to get appraisals of quilts that are family heirlooms. Several antique quilt bed turnings are scheduled during the event. These are sessions where local quilters and guild members offer detailed information about collections of quilts made before 1966. PIGEON FORGE, Tenn. (February 2016) – Pigeon Forge lives up to its nickname of the “Center of Fun in the Smokies” with winter and spring special events that include cowboys, American folk art, a parade with an international celebrity and a celebration of America’s most visited national park. Here’s the lineup of city-sponsored events from February through May. Saddle Up is a celebration of the American West featuring western music, cowboy poetry and a highly competitive chuck wagon cookoff. Dates are Feb. 17-21. It is the 16th year Pigeon Forge has brought cowboy culture to the Smokies. Poets and performers such as Dave Stamey, R.W. Hampton, Yvonne Hollenbeck and Chris Isaacs will star in full concerts, small performances and “intimate evening” dinners that include steaks to make any cowboy or cowgirl happy. Events are at the LeConte Center at Pigeon Forge and other venues. The chuck wagon cookoff is Feb. 20, and it features nine cook teams from five states. It’s dutch oven cooking at its best, and Saddle Up guests can buy lunch from the team of their choice. Before lunch, a family-oriented Buckaroo Roundup will teach youngsters how to throw a lasso and maybe how to yodel. More than 550 artfully designed and carefully stitched quilts will chase more than $20,000 in prize money at A Mountain Quiltfest, an event featuring classes, demonstrations and special activities that has drawn quilters and fans of fabric art to Pigeon Forge for 22 years. Dates are March 15-19 at the LeConte Event Center. Twenty quilt categories will be displayed, including ones with this year’s special theme – log cabins. A Mountain Quiltfest includes more than 70 classes and lectures about America’s popular folk art taught by world-class instructors. There is a fee for classes, but admission to quilt displays and a vendor mall is free. For 31 years, Pigeon Forge has saluted the area’s most popular singer, songwriter, movie star and philanthropist – Dolly Parton – with Dolly’s Homecoming Parade. This year’s date is May 6. 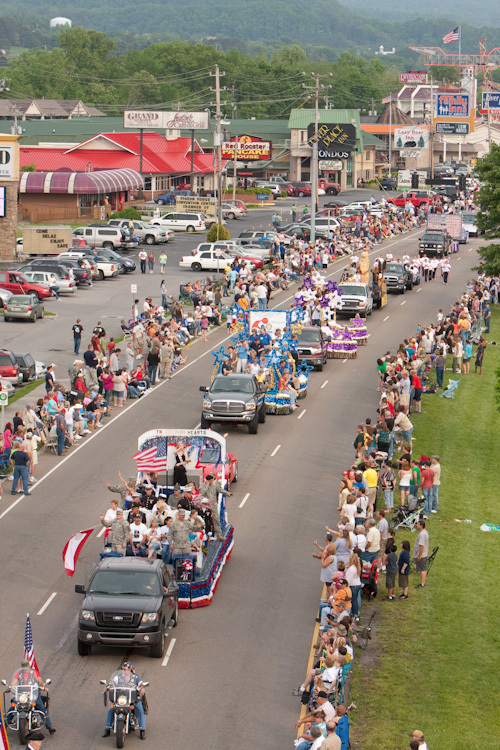 Pigeon Forge shuts down half of the Parkway, the main thoroughfare through town, for a small-town parade that would make Norman Rockwell proud. Parton herself leads the parade in a float whose theme is kept secret every year until parade day. Tens of thousands of Parton’s fans line the Parkway, and she uses a sound system on the float to call out to special friends she spots. The rest of the parade features high school bands, twirlers, equestrian groups, fire trucks, go-carts, clowns and more. Wilderness Wildlife Week is Pigeon Forge’s annual salute to Great Smoky Mountains National Park and an array of nature topics. It offers five days of free photography workshops, seminars, art classes, children’s activities, hikes and excursions. Dates are May 18-22. The major focus is on Pigeon Forge’s next-door neighbor, Great Smoky Mountains National Park, the most visited of all American national parks. The 26th presentation of Wilderness Wildlife Week takes on special significance because 2016 is the centennial year of the National Park Service. Program presenters include professional photographers, botanists, biologists, hiking experts, talented artists and mountain musicians. All donate their time to spread the word about enjoying the beauties of nature on display in the national park and throughout the Southern Appalachians. Information about all aspects of visiting Pigeon Forge is available online at MyPigeonForge.com or by calling toll-free 800-251-9100. PIGEON FORGE, Tenn. (September 2015) – The Pigeon Forge (Tenn.) Department of Tourism claimed a record 20 Pinnacle Awards, including six gold, from the International Festivals and Events Association (IFEA). Wilderness Wildlife Week received nine Pinnacle Awards, including gold for the best educational program and the best community outreach program in the category for projects with budgets less than $250,000. This marks the sixth year the event has received gold for best educational program. The outdoor-focused event, which moves from January to May in 2016, won silver awards for best green program, best children’s programming, best hat and best new attendee service, as well as bronze awards for best promotional poster, best miscellaneous clothing and best event within an event to benefit a cause. Gold Pinnacle Awards also were received for best event program and best cover design for the Saddle Up 2015 program guide, best hat for Dolly’s Homecoming Parade and best organizational website for MyPigeonForge.com. Additional silver Pinnacle awards were received for best TV promotion and best commemorative poster for Saddle Up. Other bronze Pinnacle awards were for best radio promotion for Patriot Festival, best promotional brochure, best single magazine display ad and best new merchandise for Saddle Up, and best educational program for A Mountain Quiltfest. “It’s a challenge to keep our special events growing. We literally have to out-do ourselves each year. Pigeon Forge has a reputation for producing outstanding events, and we take a lot of pride in the fact that IFEA recognizes our work,” said Butch Helton, special events manager. Other winners at the 2015 convention included the McDonald’s Thanksgiving Parade in Chicago; the Portland Rose Festival, Portland, Ore., and the Tournament of Roses Parade, Pasadena, Calif.
International events vying for Pinnacle awards included Servus Heritage Festival in Edmonton Alberta, Canada; Geumsan Insam Festival in Geumsan, South Korea; and Ludwig Van Beethoven Easter Festival, Krakow, Poland. This year’s IFEA awards presentation was Sept. 21 in Tucson, Ariz., during the organization’s 60th anniversary convention. 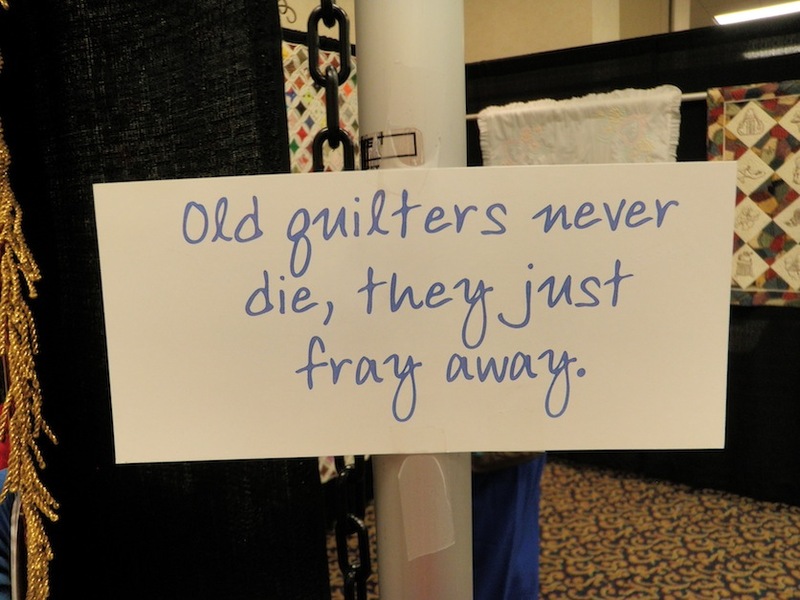 PIGEON FORGE, Tenn. (March 2015) – Quilts – the kind your grandmother made with love, skill and tradition – are the focus of A Mountain Quiltfest in Pigeon Forge from March 18-21. The festival revolves around almost 80 classes led by nationally recognized instructors, a 20-category competition with more than $22,000 in prizes, a vendor mall featuring a variety of goods and highly visual displays of quilts of many designs. All activity is at the LeConte Center at Pigeon Forge, and admission is free. “You needn’t ever have held a quilting needle in your hand to enjoy ‘A Mountain Quiltfest,’” said Butch Helton, manager of the Pigeon Forge Department of Tourism’s special events office, which organizes the activity along with the Piecemakers and Sevier Valley Quilters guilds. “Absolutely everyone can appreciate the skill and artistry on display. In a sense, it’s a very special art show,” Helton said. Expect to see numerous quilts with Christmas motifs because Christmas is the theme of a special competition category for 2015. Eleven antique quilt bed turnings are scheduled over the event’s four days. These are sessions where local quilters and guild members offer detailed information about collections of quilts made before 1965.